The research and development programs in India from its own national resources and funds on the treatment and / or prevention of Reproductive Tract Infections (RTIs) and Sexually Transmitted Infections (STIs) including the HIV, had been going on since 1990s, but in patches and in a low key manner. Amongst the international partners, CONRAD started screening compounds from Central Drug Research Institute (CDRI) Lucknow in the early 1990's. The National Institute of Health (NIH) / National Institute of Allergy and Infectious Diseases (NIAID) started some work in these areas at YRG Care Chennai as well as National AIDS Research Institute (NARI) Pune around 1998, and later on, also supported at these centres, the establishment of a Clinical Trials Unit starting around 2005. However, it was CONRAD USA which had initiated the microbicides research activities in India around 1999, by supporting a TOPCAD Program at the Department of Biotechnology (DBT)'s Institute (National Institue of Pharmaceutical & Educational Research - NIPER) in Chandigarh with Dr Sanjay Garg in collaboration with Dr Zananveld from University of Chicago, for the formulations of several newer microbicidal products. It, also concurrently had supported the clinical trials of two types of female condoms. Later on, CONRAD signed MOUs with the Indian Council of Medical Research (ICMR) as well as with DBT for Microbicides Research and broadened it base of collaborative researches covering through research training and project grants to the various scientists ranging from basic researches to clinical trials as well as hands on laboratory training workshops on Pre-clinical Toxicology screening In-Vitro Methods for the Microbicidal Products. The Global Campaign for Microbicides (GCM) through PATH India, in early 2000s, started several sensitization meetings with the NGOs, several community based organizations, general public and journalists about the possibility of the microbicidal products being available for the HIV prevention and how should they be used. The ICMR and DBT had also started a expanded joint R & D program for the microbicidal products during 2006. Thereafter, India had hosted the Microbicides 2008 Conference in February 2008 at New Delhi. All these factors, led to internal discussions amongst the few like minded Indian scientists working in the field of microbicides, and felt the need to form a professional society. 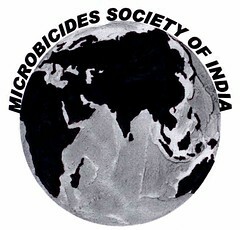 That is how, the Microbicides Society of India (MSI) was formed. Several international scientists and partners - specially like CONRAD, always had also encouraged and supported the idea of the formation of MSI, which became a reality from June 31, 2009. Browse PWInstitute to learn piping designing in India. We offers piping course in India with the help of professionals. Visit us to know more.